If you’re a book person, stop in at our community center on Monday or Wednesday from 9 to noon to check out the table of free books. FREE BOOKS! 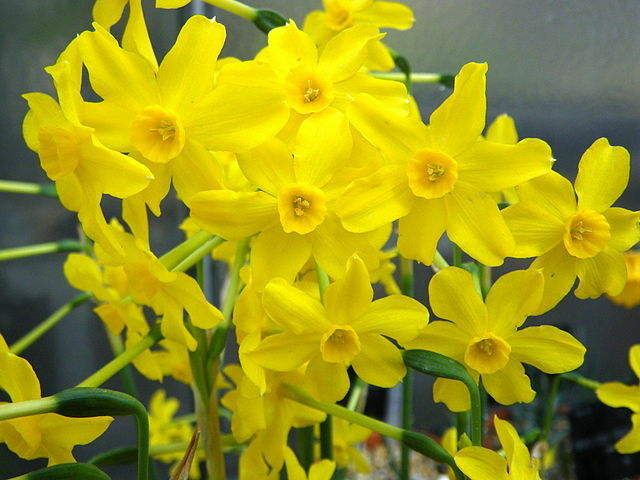 We send out Rainbows-of-Aquamarines-and-Jonquils to Donna Parsons and Tiler Holsclaw who share the same special day. Happy, happy birthday to you both! Karen’s Commentary: Thanks to Sandi Arismendi for greeting cards, and to cousin Annie French for cards, manufacturer’s coupons (all cut out!) and used stamps. I appreciate them all. On a different note, I’ve been keeping track of my Tortoise Rock Casino wins and losses since April 1, 2014. I stop in once or twice a week, and my gambling money consists of a single $20 bill – if I lose it, I leave – if I double it, I leave. Pretty simple system, and so far it’s working for me. As of today, I’m $271 ahead. I just love our little casino, and consider a visit there as a bright spot in an otherwise routine day of running errands. Darlene’s Commentary: A few weeks ago, I read a good article about lemons, and it was packed with so much interesting and useful information that I have to share some of it with you. Lemon trees bloom and produce fruit year-round, and an average mature tree can produce 500 to 600 pounds of lemons in a year which adds up to around 2,000 lemons annually! Lemons are one of seven top sources of potassium, a mineral that promotes clear thinking, aids in normalizing blood pressure, and works with sodium to regulate the body’s water balance. The juice of half a lemon in warm water helps eliminate toxins, cleanses the liver, stimulates the metabolism and helps block pain. When lemon juice is heated, salicylic acid (the chemical precursor of aspirin’s active ingredient) is produced. Also, you can add the juice of one lemon to an equal amount of hot water for an effective antibacterial gargle. Here’s to lemons! Godwin Christian Fellowship is in the process of building a new church on Godwin Road, north of Highway 62. In the meantime, they hold Home Group meetings every Sunday on Bonny Dunes Road. Call Pastor Max Rossi at 831-234-6848 for further information. 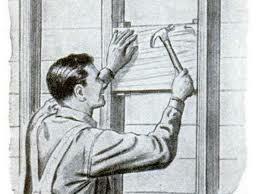 Handy Hint: When drilling a hole in drywall, tape an old envelope (gently folded open) to the wall just below the drilling point. Dust and debris will drop into the open envelope which can then just be tossed into the trash.